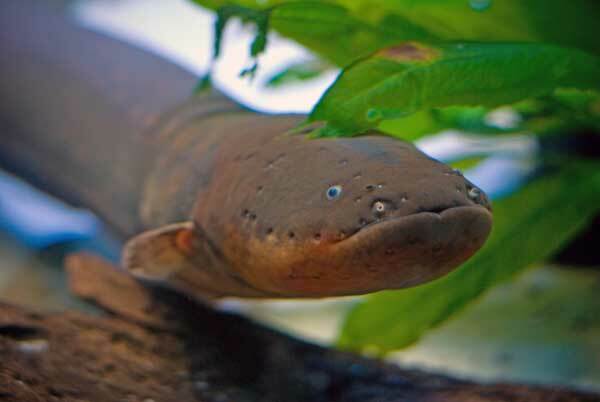 The electric eel (Electrophorus electricus) is a fish, and it's electric! These natives of the murky Amazon and Orinoco watersheds in South America use electricity to hunt for their next meal. 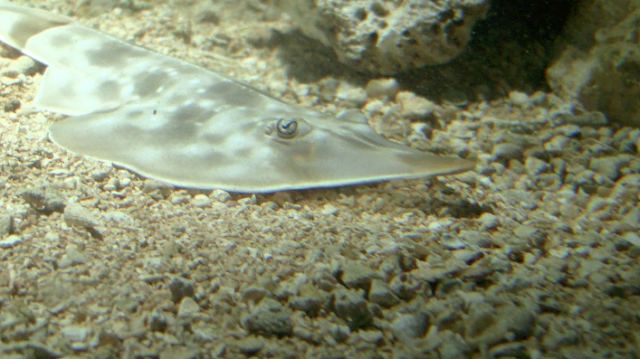 Juveniles eat invertebrates, while adults feed on fish and sometimes small mammals. The fish can grow up to 10 feet (3 meters) with weight up to 44 pounds (20 kilograms). 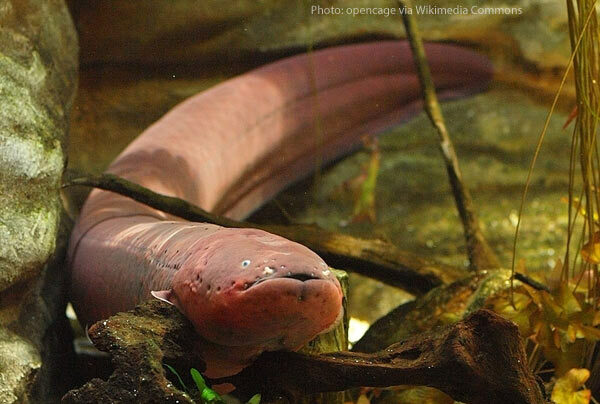 Electric eels have wide mouths with one row of teeth, but the fish makes its living on electric shocks. They generate strong electric shocks with specialized organs made of hundreds of thousands of electroplates, which are modified nerve or muscle cells that can produce electricity. Think of a battery. Low-voltage shocks help with navigation (just look at their tiny eyes, they're virtually blind! ), while the high-voltage zaps have been noted during predatory attacks. The shock stuns the prey, while the electric eel is protected by a thick layer of insulation. 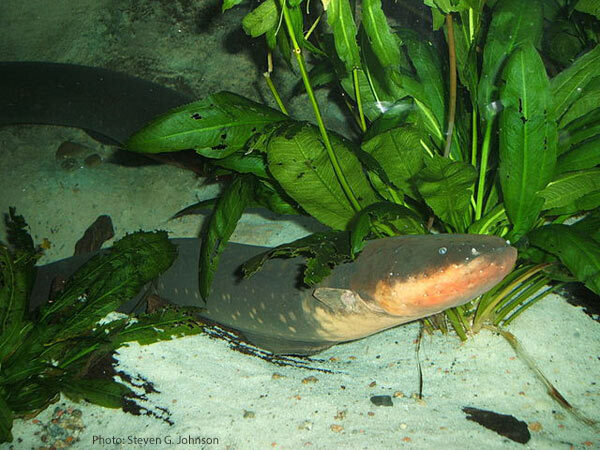 The next time you walk by the electric eel tank at the Aquarium, keep your ears perked for a crackling sound. That's how you know the eel is active. Every time it discharges electricity, sensors send a signal to the speakers above the tank. The speakers convert the signal into sound. Stronger signals produce louder sounds. When the eel is not hunting, the sound is quiet and infrequent. When the eel is looking for food, the sound is much louder and more frequent. When it's quiet, the eel is probably resting. store up a charge and direct it outside of their bodies to stun prey.